I thought it would be interesting to start to document some of my (as usual) unfinished Palm OS projects. Starting today with BeePo 2. 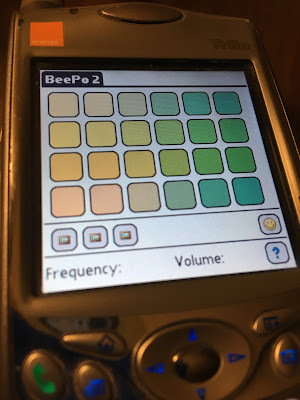 BeePo 1 wasn't terribly useful or functional, but it did some stuff. I thought I'd make a second version that might be a bit more interesting. It's stalled! When was the last time you did some Bhajis? Was the m100 a mistake? Will TCL make an actual Palm device? In 2005: PalmSource acquired by Access Inc.